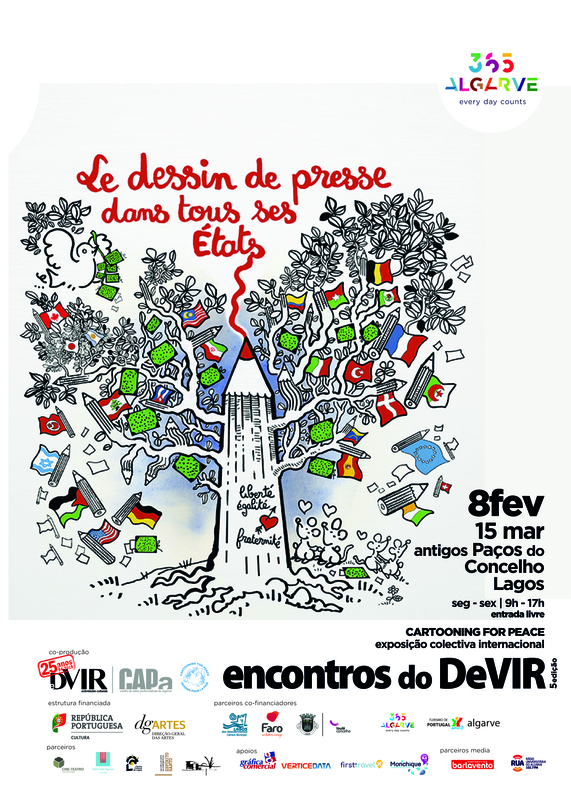 As part of the 5th edition of the DeVir Meetings, an association of cultural activities in Portugal, Cartooning for Peace is invited to present its exhibition “Press cartoons: state of Affairs” in Lagos, Faro, and Quarteira from 15 February to 31 May 2019. Michel Kichka (Israel), member of Cartooning for Peace, Vasco Gargalo (Portugal), member of Cartooning for Peace, and Laure Simoes, Editorial Director of Cartooning for Peace, participate in the “Humour and Denunciation” panel discussion on March 23 in Loulé from 3pm to 6pm. More informations.